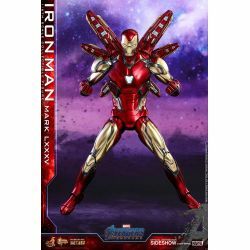 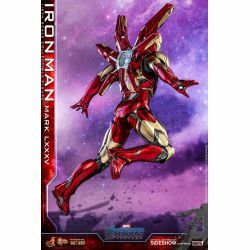 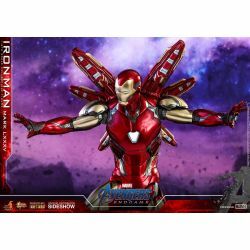 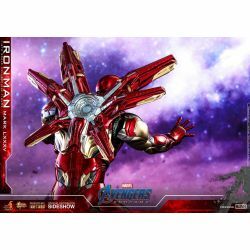 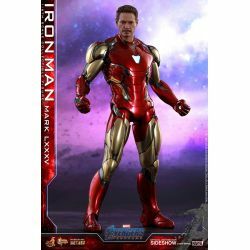 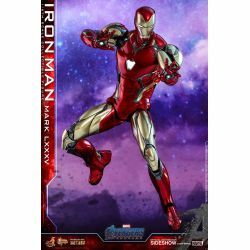 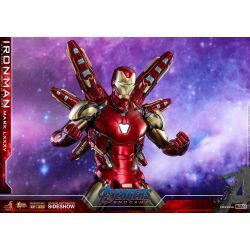 Iron Man Mark LXXXV Hot Toys MMS528D30 : sixth scale Hot Toys collectible action figure of Iron Man Mark LXXXV as seen in the Marvel Comics movie Avengers : Endgame. 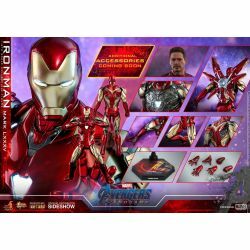 Tony Stark has faced numerous threats since becoming Iron Man, but all the money in the universe can’t bring peace of mind to this billionaire genius after the events Avengers : Infinity War. 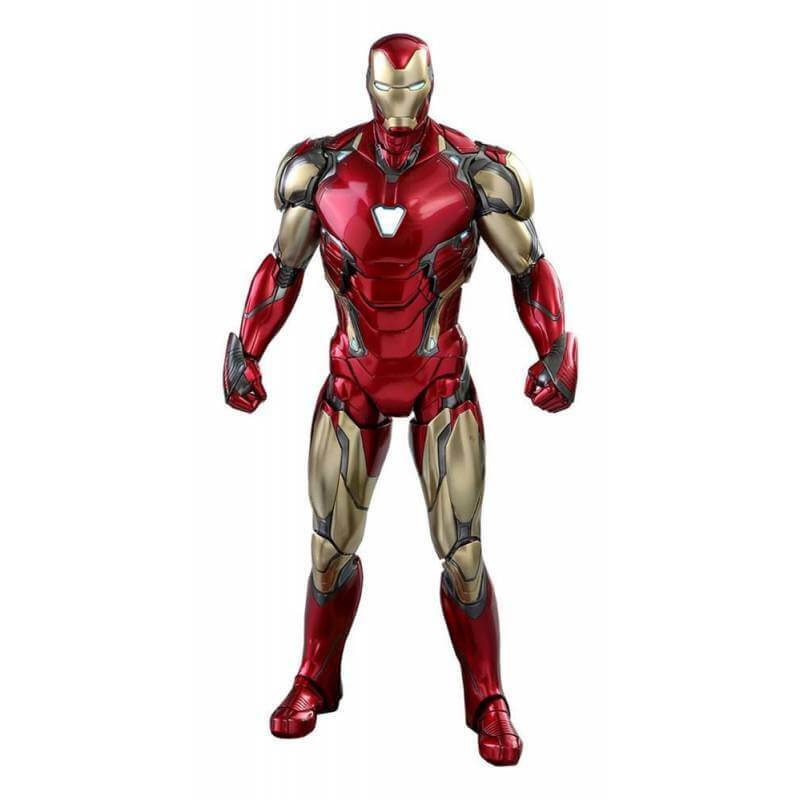 The invincible Iron Man must now team up with the remaining Avengers to avenge the fallen. 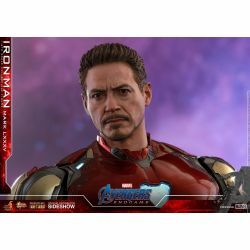 Exquisitely crafted based on Tony Stark/Iron Man in Avengers : Endgame, the true-to-movie figure features two interchangeable head sculpts including an interchangeable helmeted head with LED-light up function. 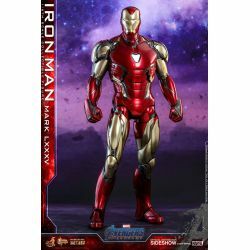 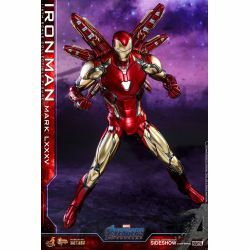 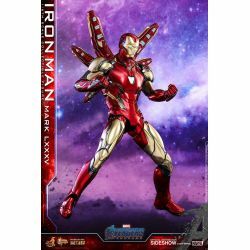 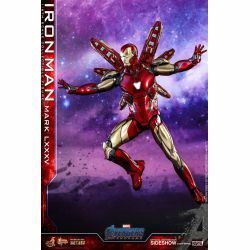 The sixth scale figure also features an intricate design of the Iron Man armor that has been faithfully reproduced with red, gold and charcoal grey coloring painted carefully with a metallic appearance, LED light-up functions scattered throughout the upper body, back and Arc Reactor on chest, Nano Lightning Refocuser attachable to the back, multiple pairs of interchangeable hands for iconic gestures, and a character themed figure stand with movie logo. 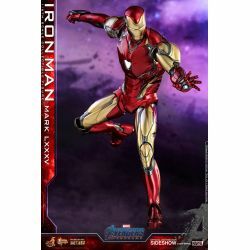 Last but not least, additional accessories will be coming soon ! Fans will be amazed by the Iron Man Mark LXXXV collectible figure with its brand new suit and Nano-tech inspired accessories, stay tuned ! 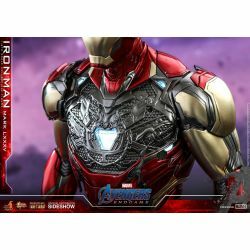 Reserve a space in your Avengers : Endgame collection for the latest Iron Man that’s built for the ultimate showdown ! 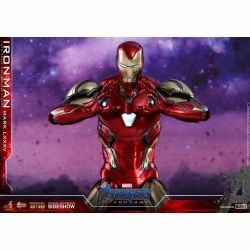 What's in the box of Iron Man Mark LXXXV Hot Toys MMS528D30 ?